Bluetooth low energy chipsets such as nRF51 & nRF52 series from Nordic Semiconductor or others consume a lot of energy especially when their radio is active in BLE beacon advertising mode. For certain use cases a low power relative humidity sensor or temperature sensor could detect ambient changes and act as trigger for a BLE beacon. 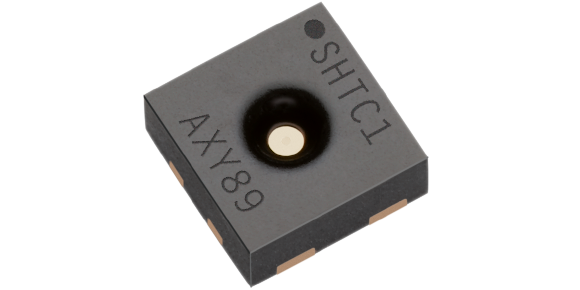 Sensirion's SHTCx relative humidity and temperature sensor is a low power sensor suited for battery operation. 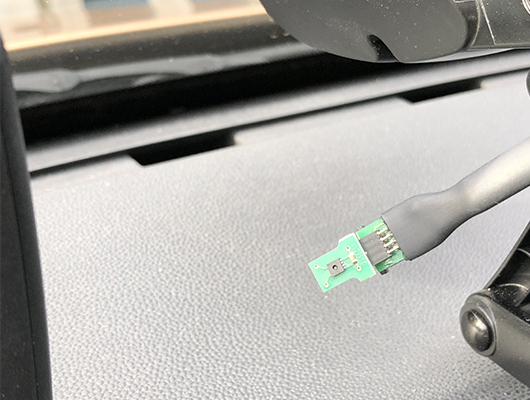 The relative humidity and temperature sensor could be used to detect a driver entering his car due to the change of ambient relative humidity or temperature. The low power relative humidity sensor could measure with low measurement frequency of 1 Hz or even less and activate a BLE beacon or any other electronic device upon human presence detection. Thus, energy could be saved, which is especially attractive for battery operated devices. 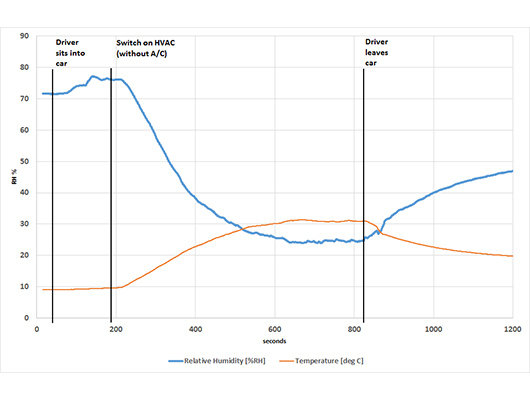 The following experiment tested, how quickly a relative humidity and temperature sensor in a car cabin (figure 1) detects a person entering the car. In a real life test drive the ambient relative humidity in the car cabin changed within seconds as soon as the driver entered the car (figure 2). 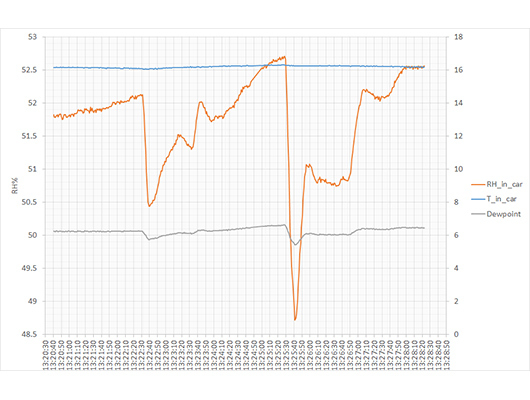 Even stronger change of relative humidity and temperature levels occured after the climate control was turned on. Due to the low dewpoint of the air in winter the relative humidity in the car cabin decreased when the A/C heated up the cold air in the car cabin to room temperature. The measurement demonstrates that the change of relative humidity due to human presence can be detected quickly, allowing to wake up and activate other more power consuming devices. The relative humidty sensor is well suited for event detection in case of ambient air changes. 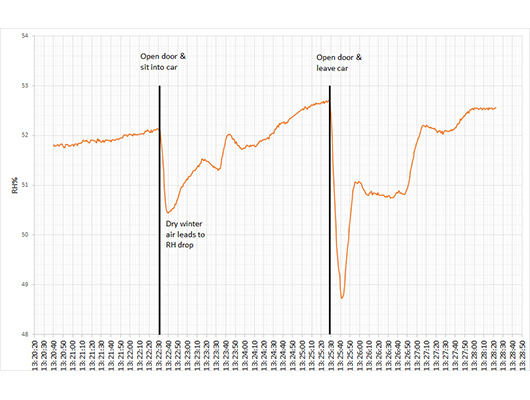 Figure 3 demonstrates that the relative humidity sensor detects an open door event within seconds after a person sits into a car when outside air and inside air are at different RH levels. Also the dewpoint can be used for event detection in case of relative humidity or temperature changes of ambient air. 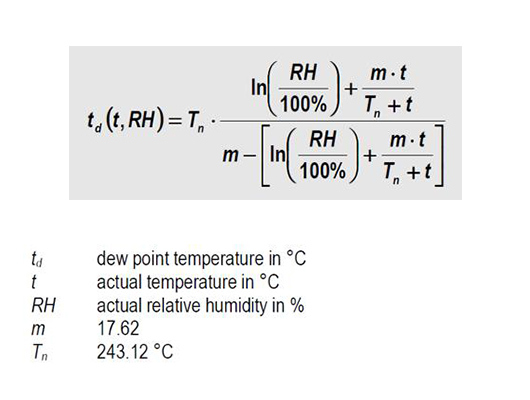 Figure 4 demonstrates, how dewpoint, as a measure of absolute humidity, changes in a closed environment before, while and after a person sits into a car. Please refer to Sensirion's website for more information about Sensirion's SHTCx relative humidity & temperature sensor. For dewpoint calculation please refer to formula 1.